WANT TO EARN DISCOUNTS TOWARD YOUR NEXT SESSION? HOW ABOUT ENOUGH DISCOUNTS TO EARN A FREE SESSION? CURRENTLY ONLY CHRISTA IS PARTICIPATING IN THIS PROGRAM. ALL REDEMPTIONS OF THIS OFFER MUST BE SCHEDULED WITH HER. PRINT UP THE COUPON BELOW. PUT YOUR CONTACT INFO ON THEM. 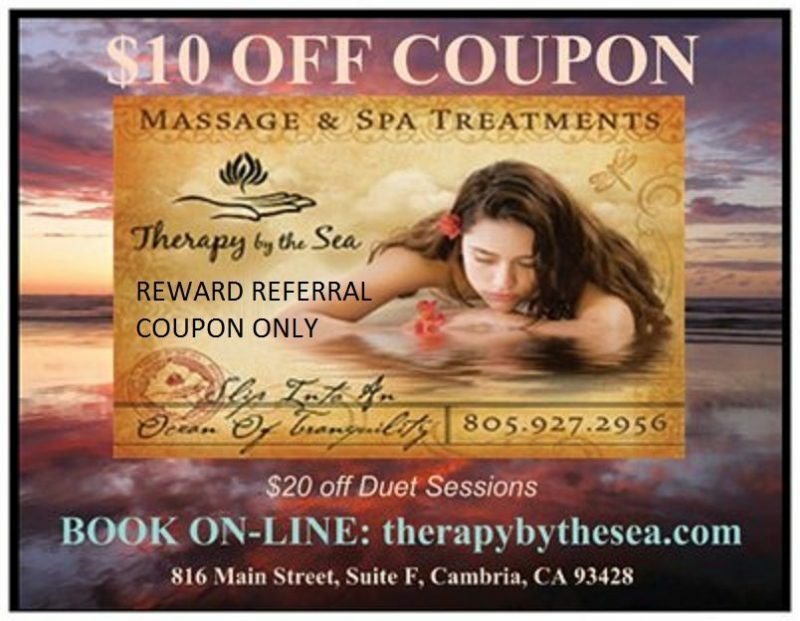 This coupon can only be used for referral purposes, so the contact information and the redeeming information of the person coming in can not match. HAND THEM OUT TO YOUR FRIENDS & FAMILY. 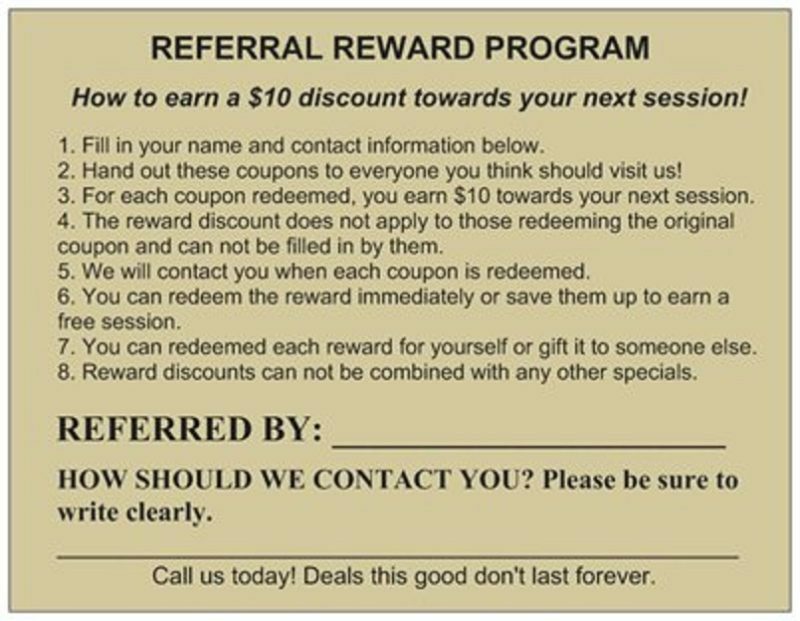 Again there is no limit to how many you can hand out, but the referral coupon and reward is only redeemable for first time clients. WHEN A COUPON IS REDEEMED YOU GET A $10 CREDIT TOWARD YOUR NEXT SESSION. We will contact you when that happens. You can use the credit right away or save them up to earn a bigger discount for later. IF AT THE END OF THE YEAR YOU HAVE NOT REDEEMED YOUR CREDITS WE WILL ISSUE YOU A NICE HOLIDAY GIFT CERTIFICATE THAT YOU CAN USE FOR YOURSELF OR GIVE TO SOMEONE ELSE.